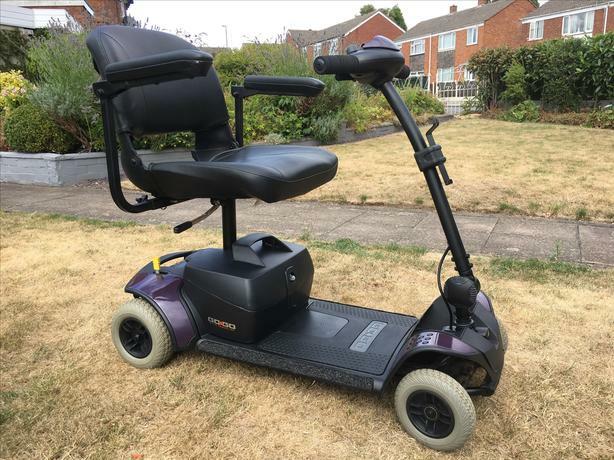 Luxury 4mph pavement / mobility scooter in an exclusive one off eye catching Moonlight Purple colour with brand new batteries. - Padded swivel chair with adjustable arm rests and rear storage pouch. Take the heat out of the summer and travel in style with the exclusive one off design. This scooter is a very comfortable and enjoyable ride.